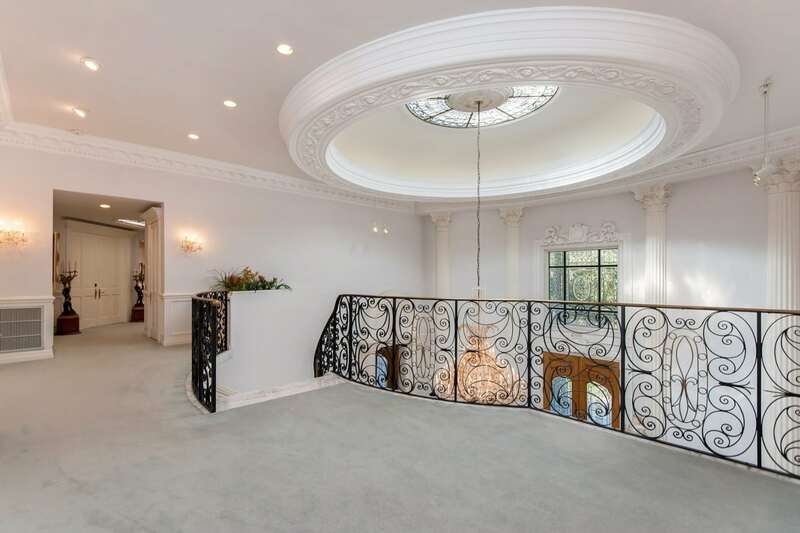 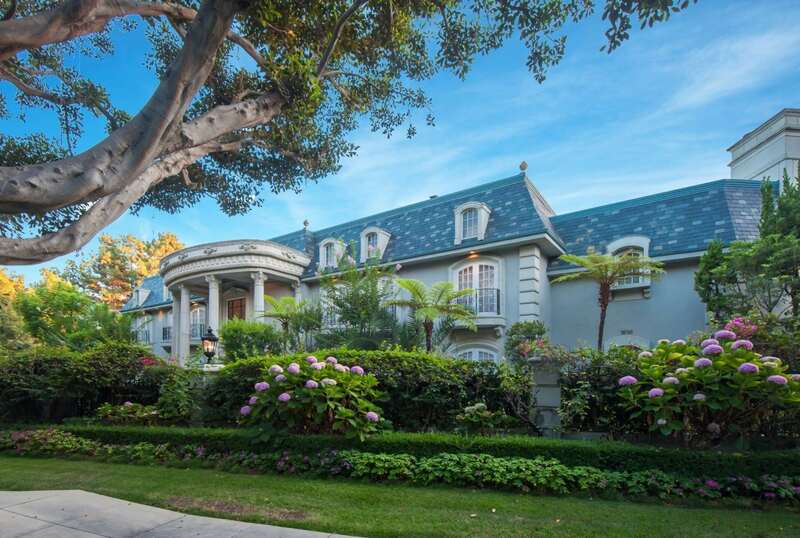 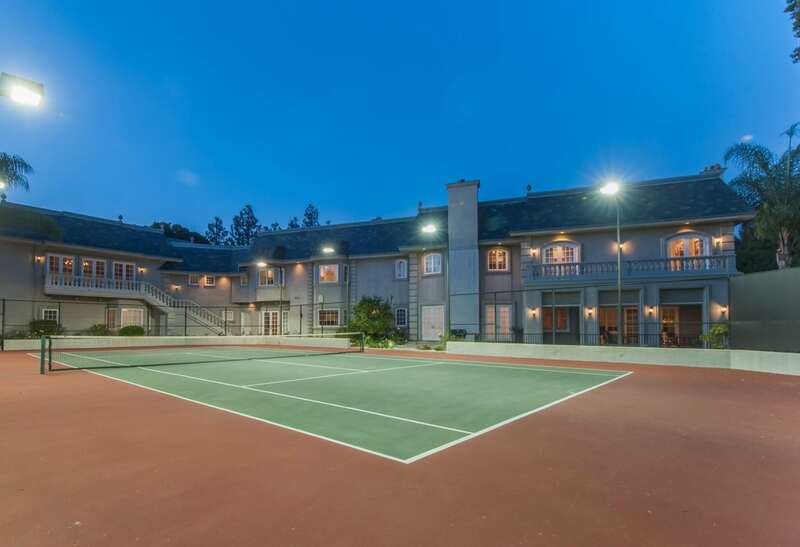 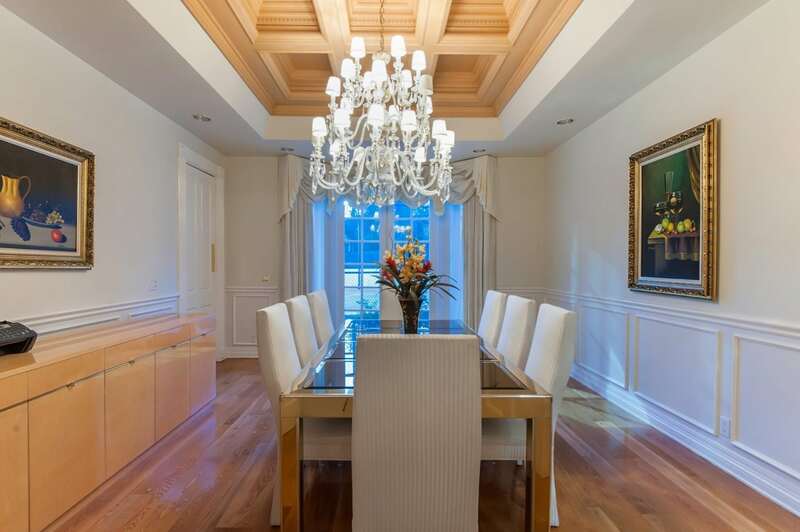 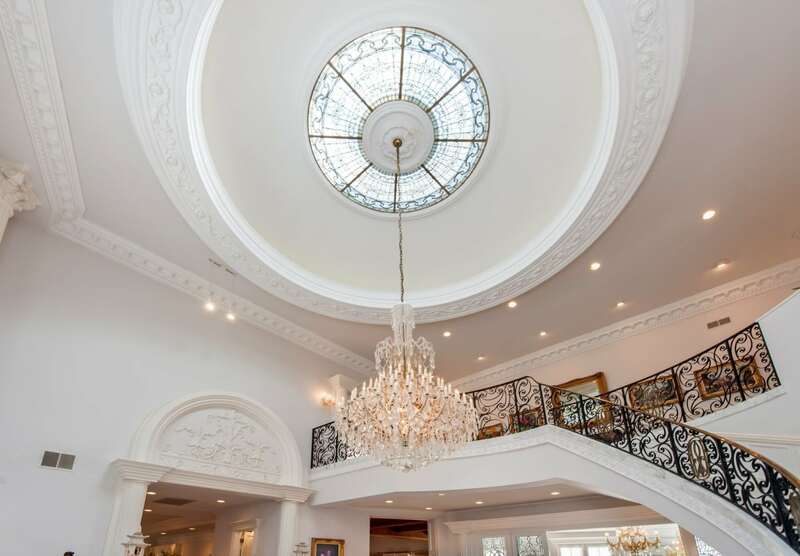 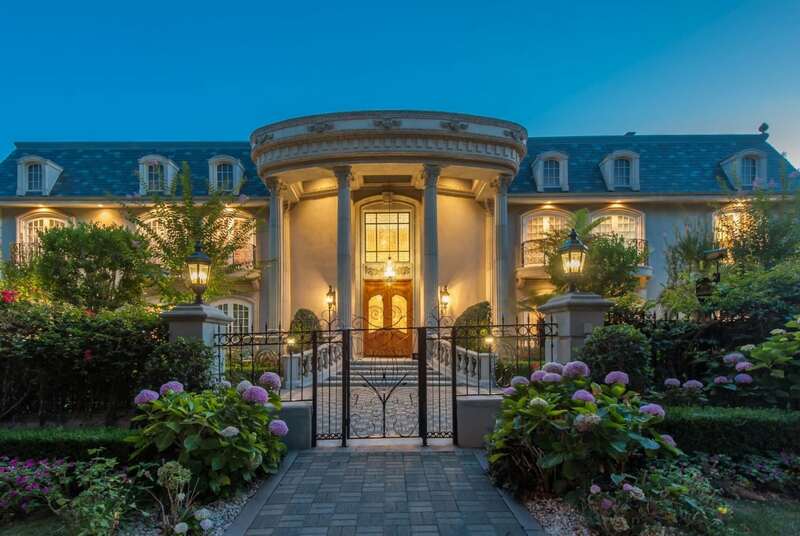 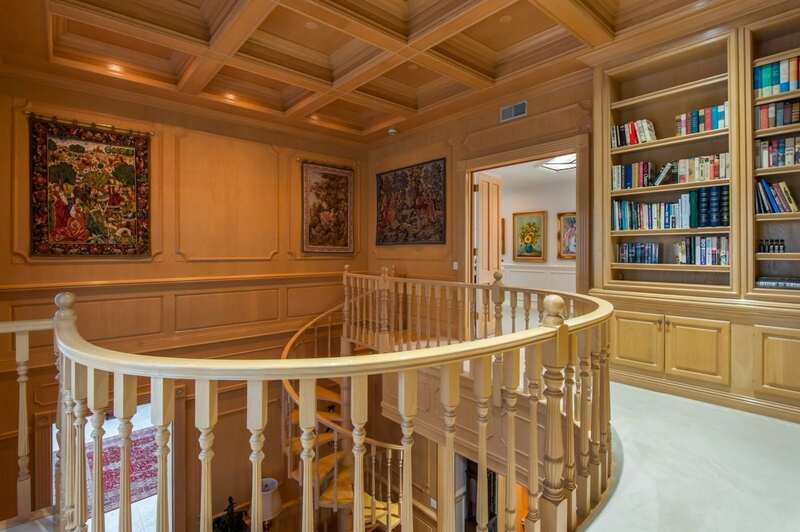 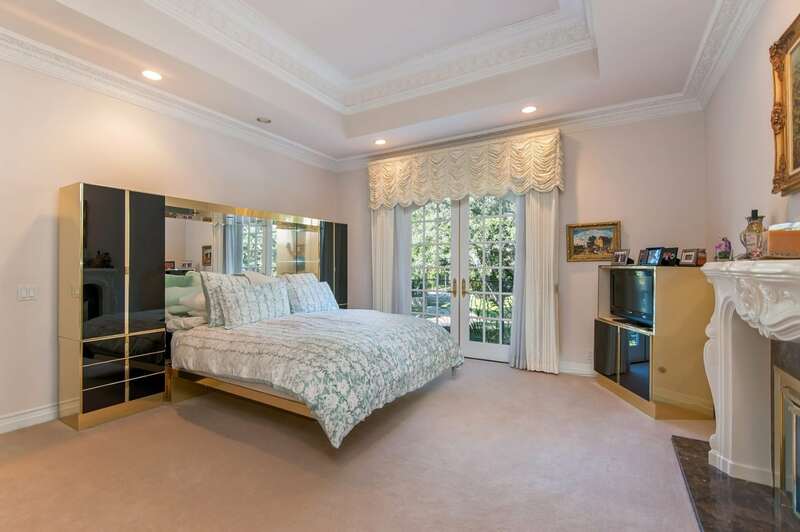 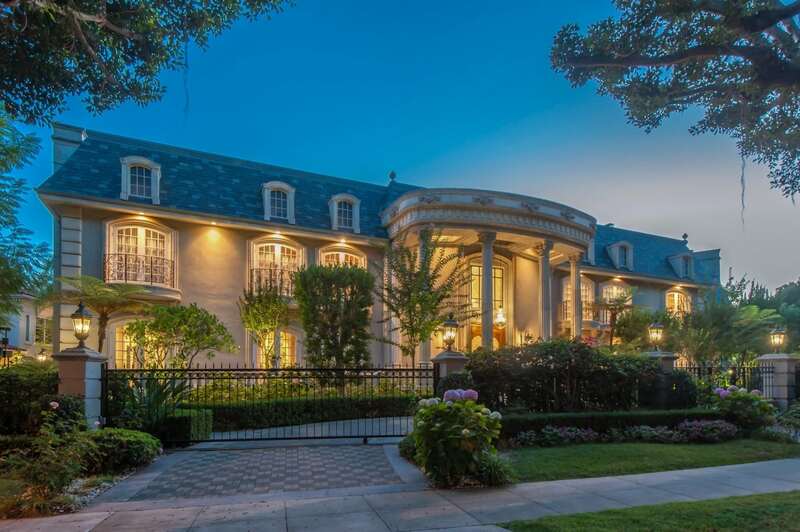 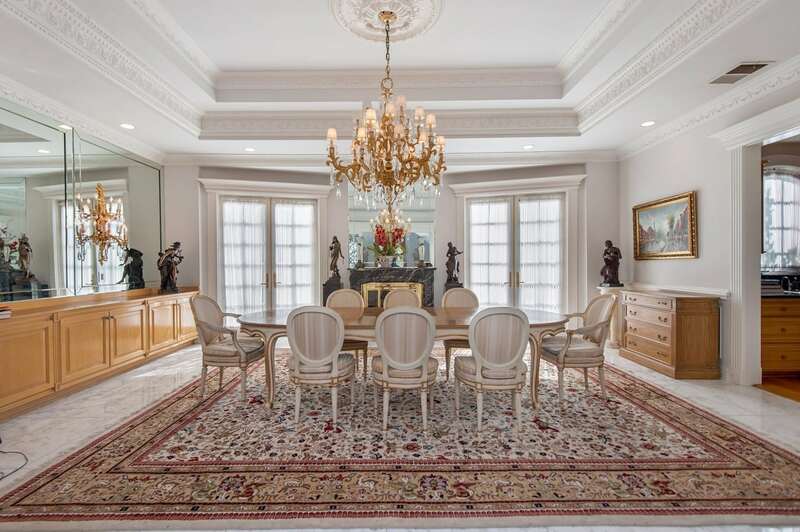 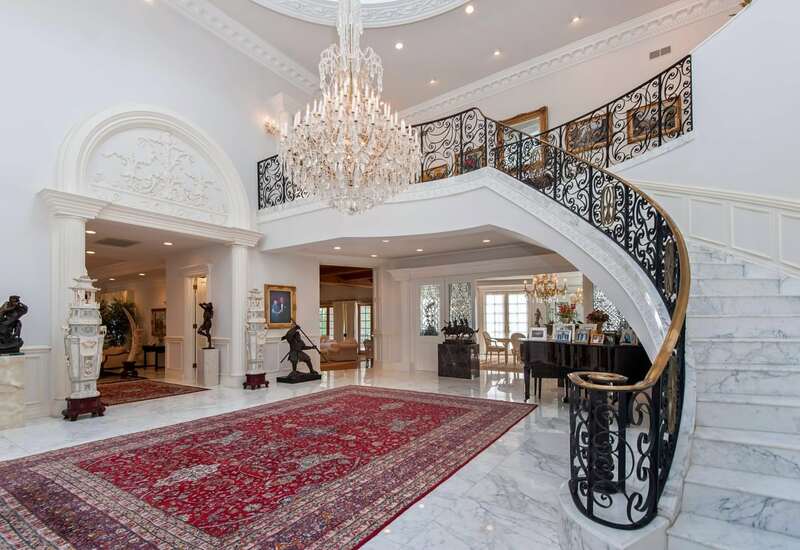 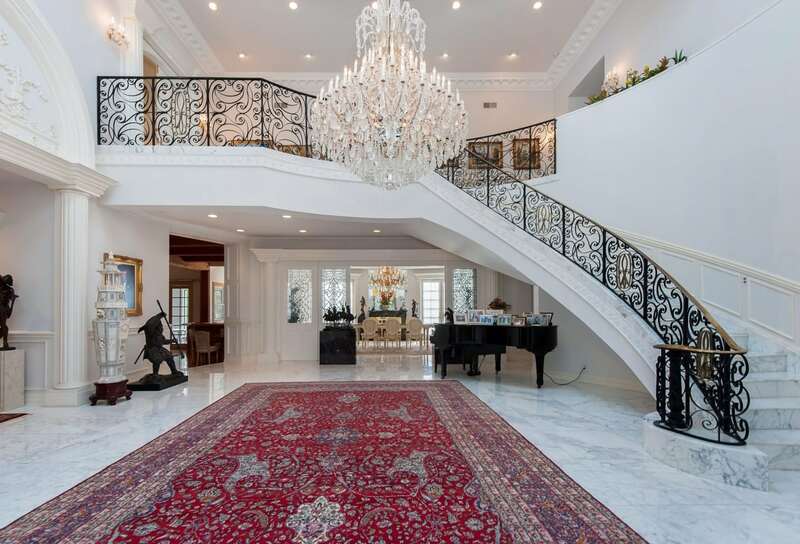 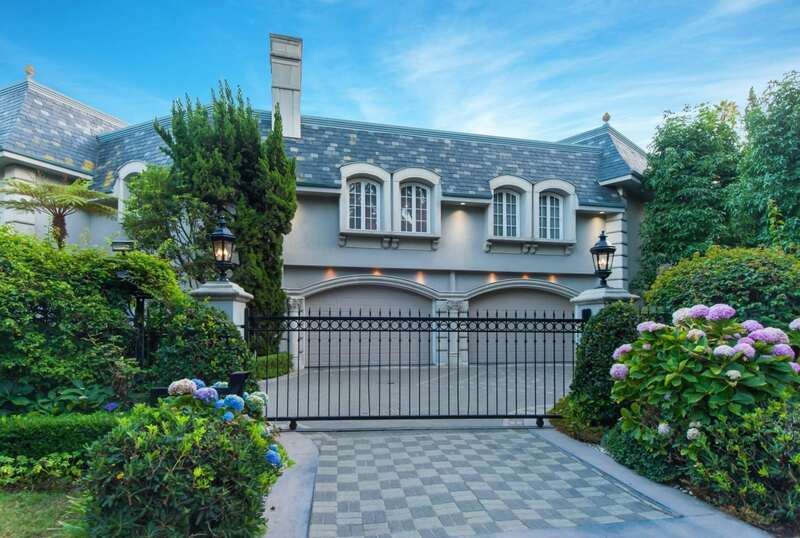 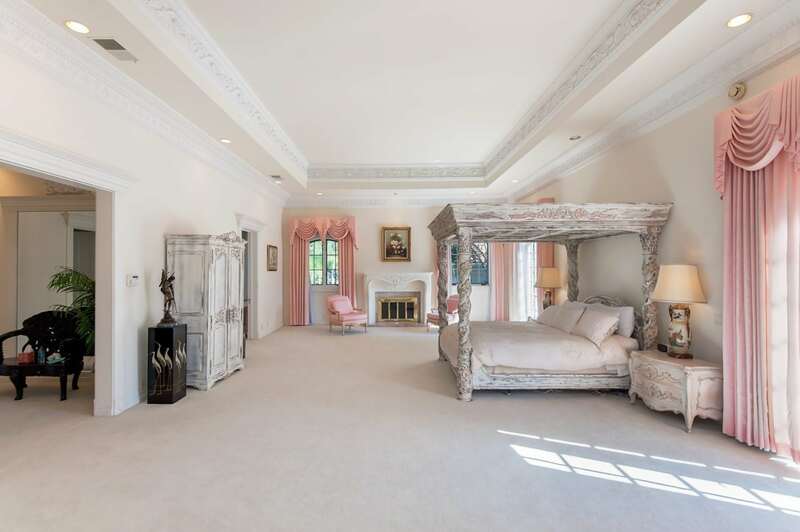 A rare opportunity in prime Beverly Hills. 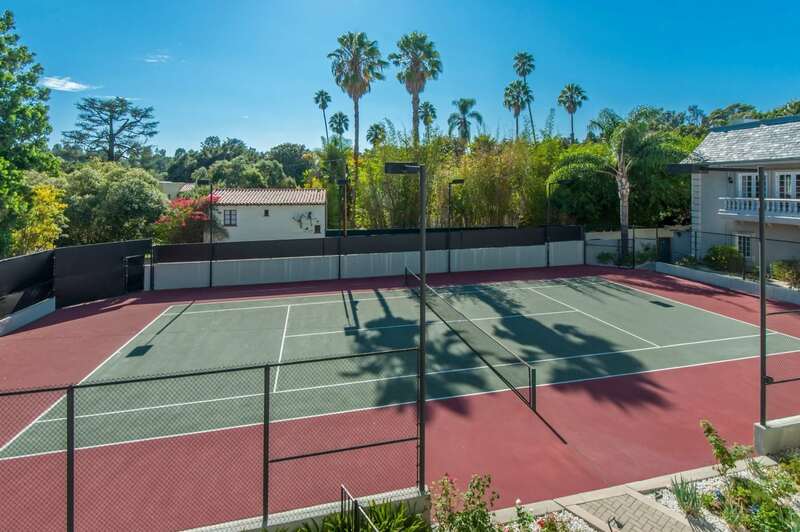 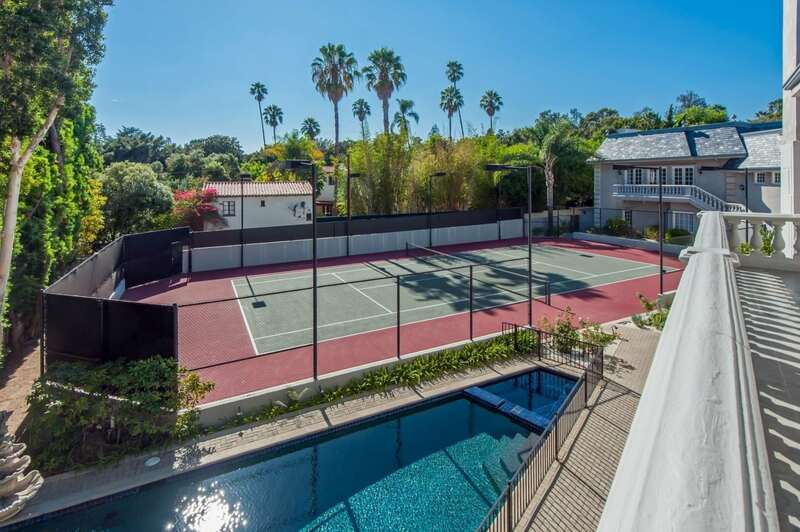 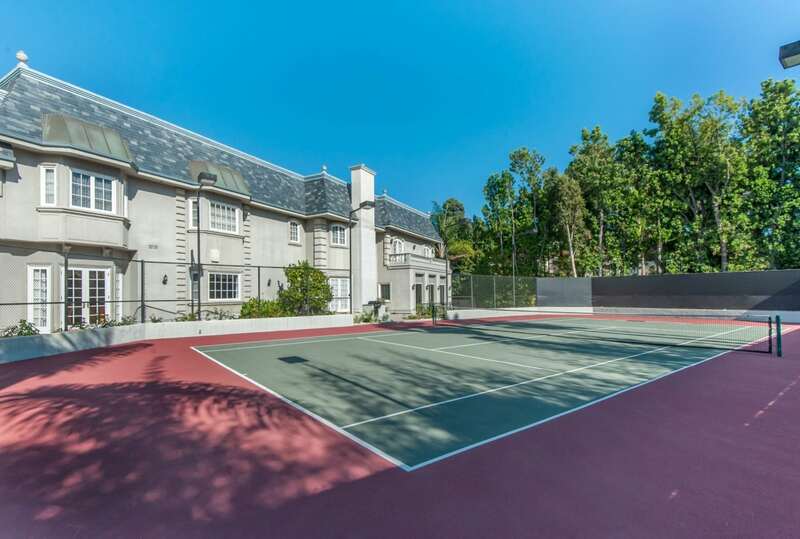 Situated prominently on a desirable tree-lined street north of Sunset Boulevard, lies this gorgeous estate property featuring a grand, 8 bedroom plus 9 bathroom home with expansive grounds, pool and lighted tennis court. 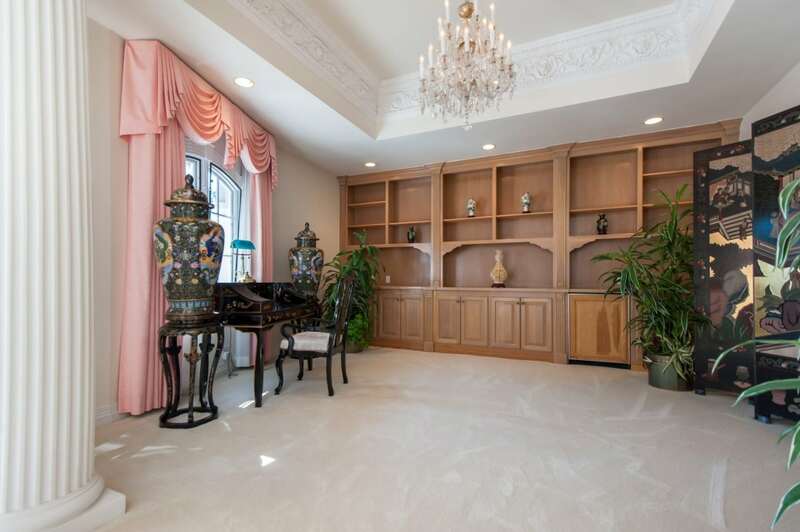 The elegant floor plan is ideal for a sophisticated but comfortable lifestyle. 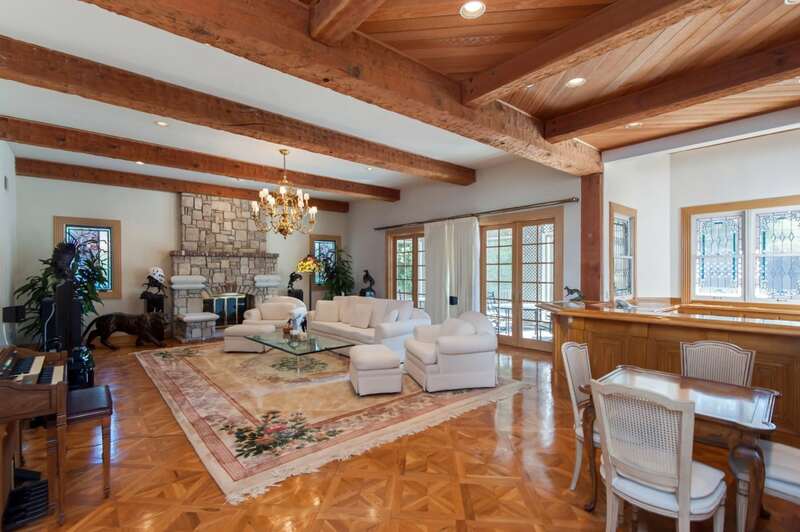 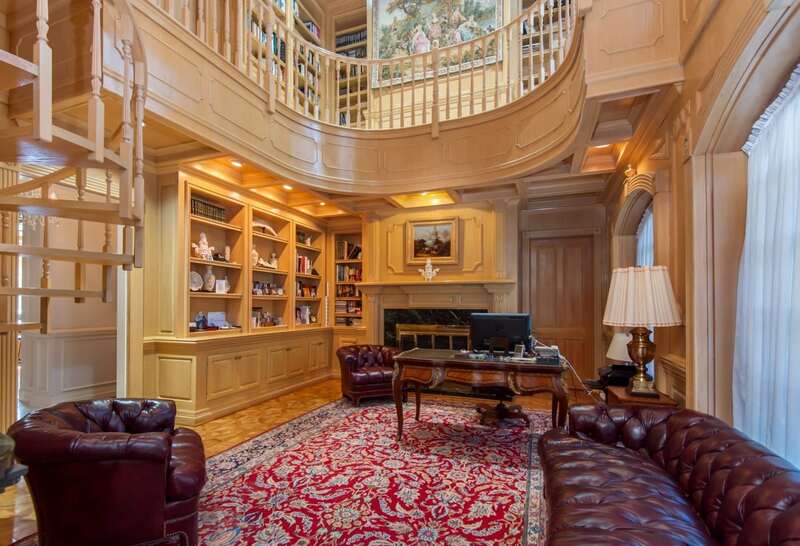 The dramatic foyer flows to the formal living room, large family room with exposed beam ceilings and warm stone fireplace, formal dining room, gourmet kitchen, and exquisite 2-story wood paneled library with beautiful detailing. 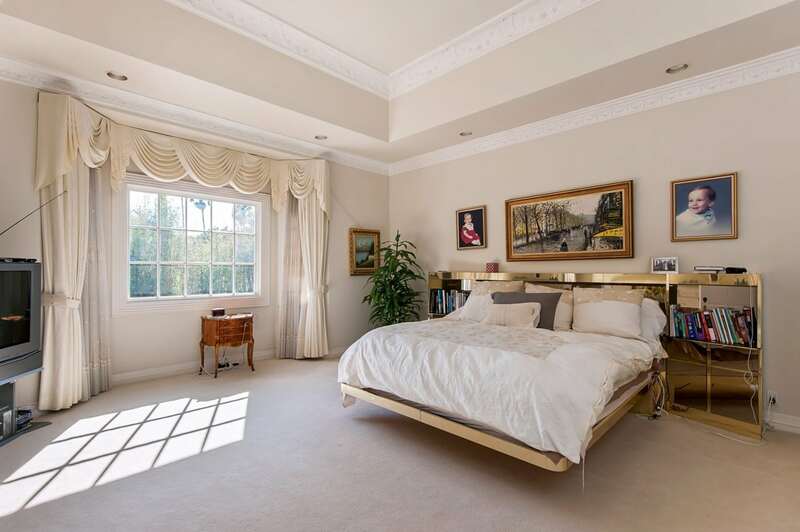 There are 8 bedrooms including a secluded staff quarters and a luxurious private master wing. 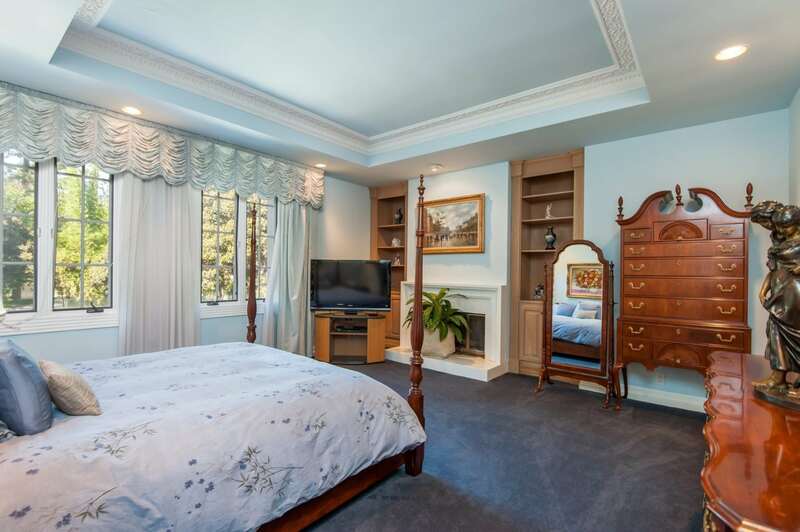 The master suite features dual bathrooms with walk-in closets, a separate sitting area or office, and a lovely private balcony. 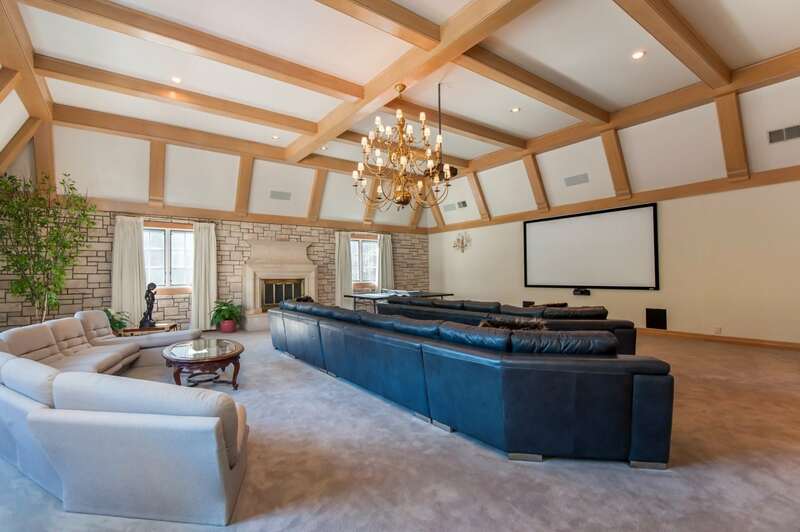 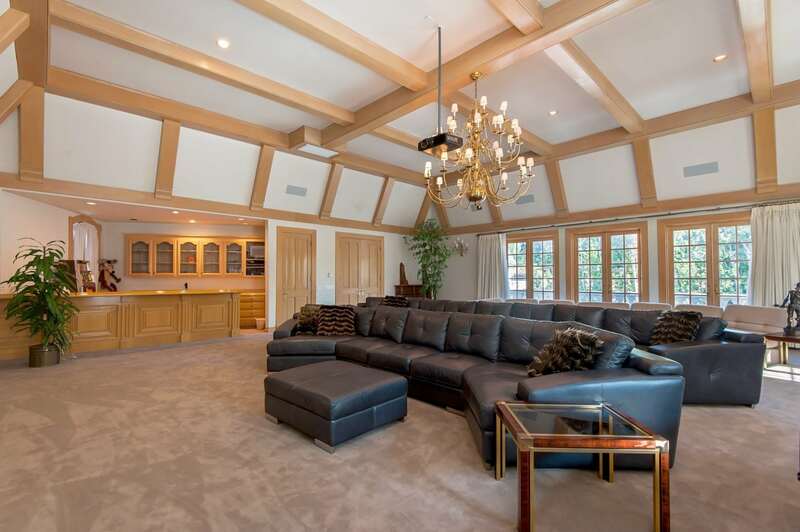 You will love entertaining in the sprawling upstairs media room with exposed beam ceilings, bar, & French doors to the balcony and stairs to the yard below. 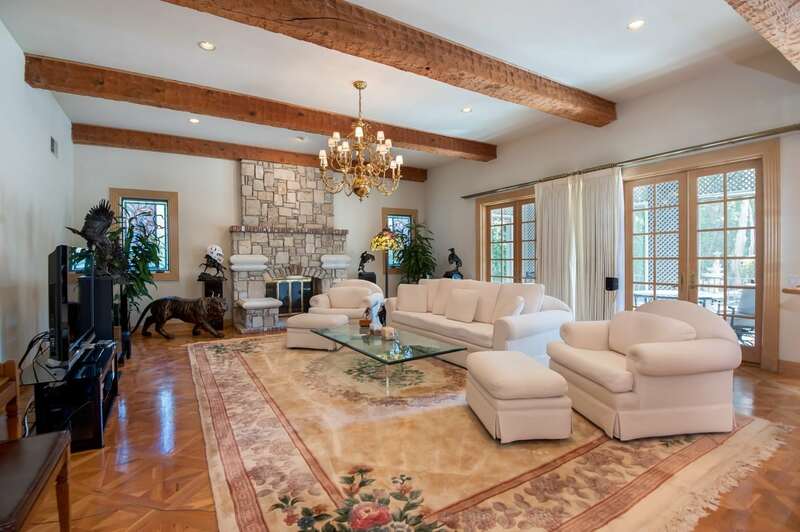 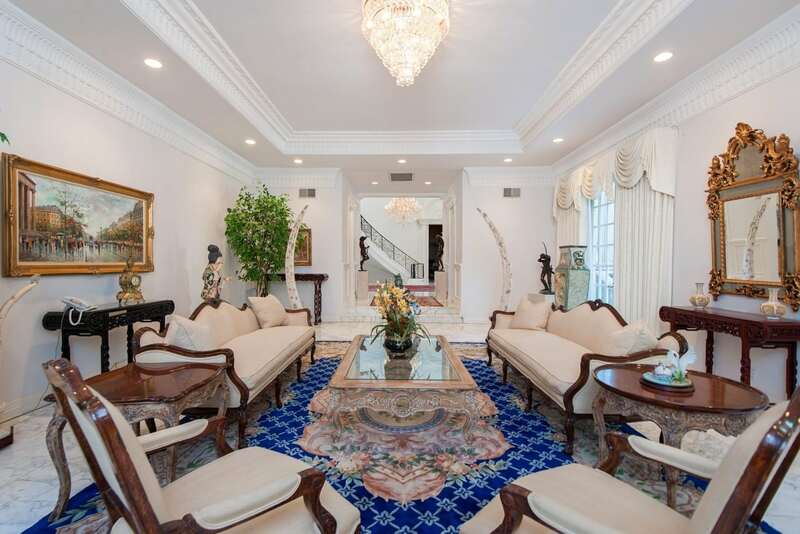 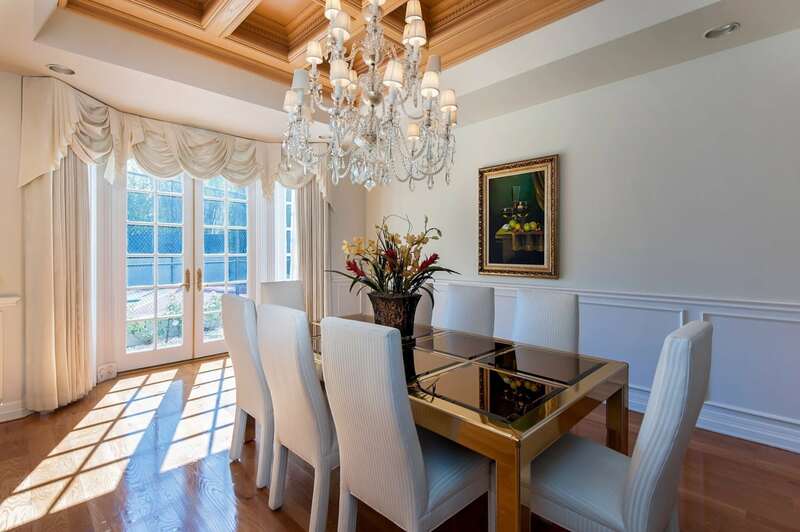 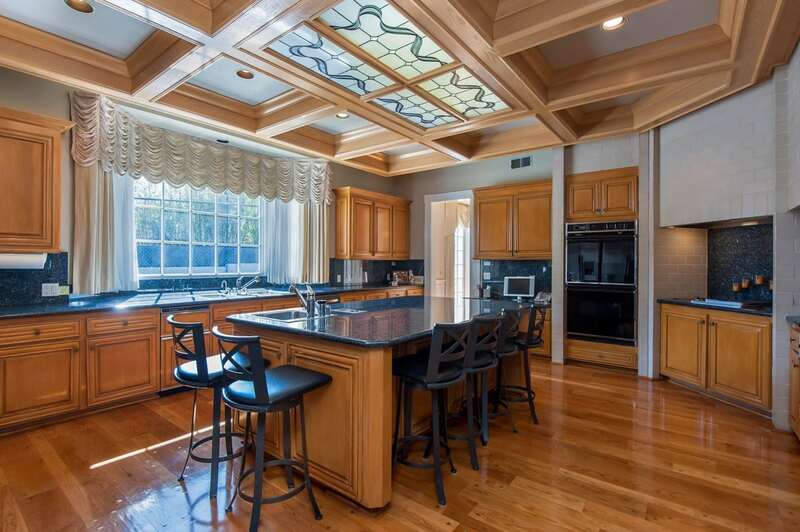 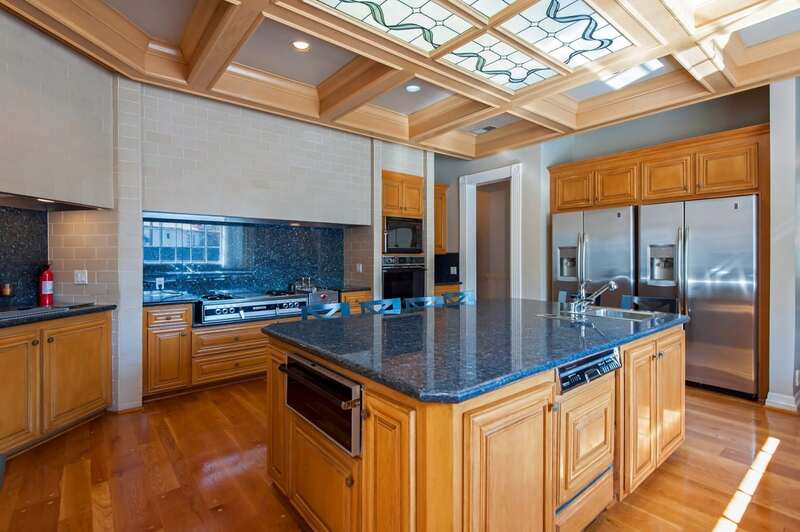 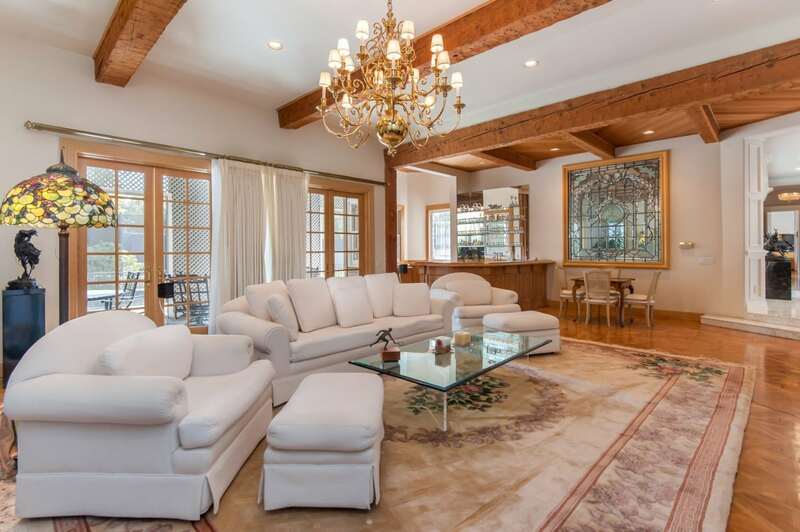 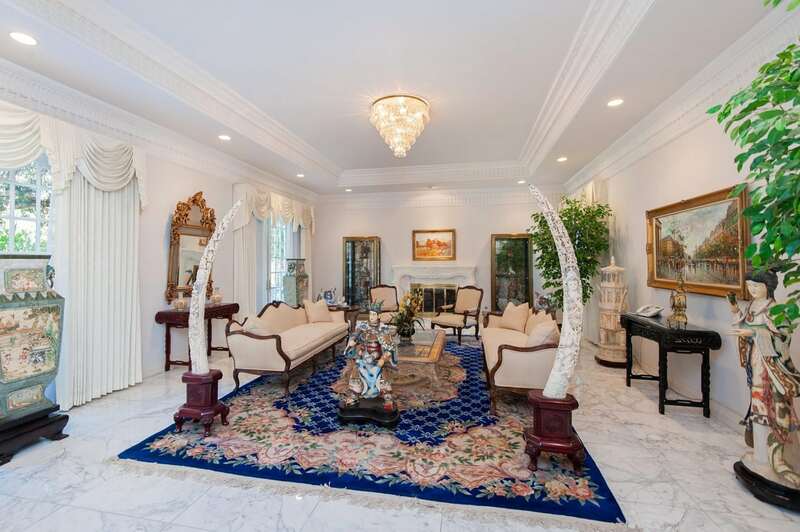 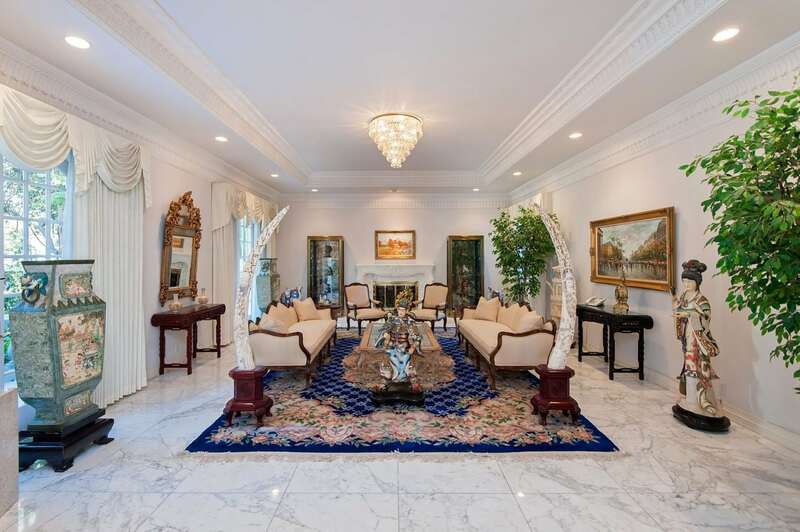 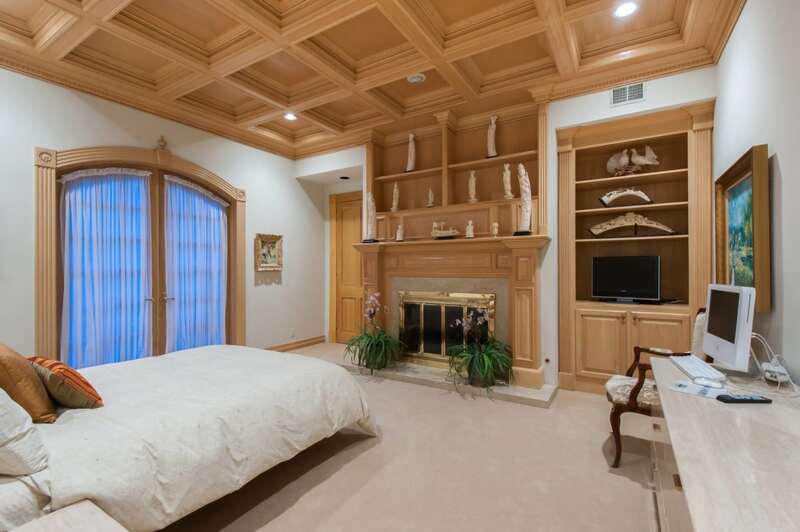 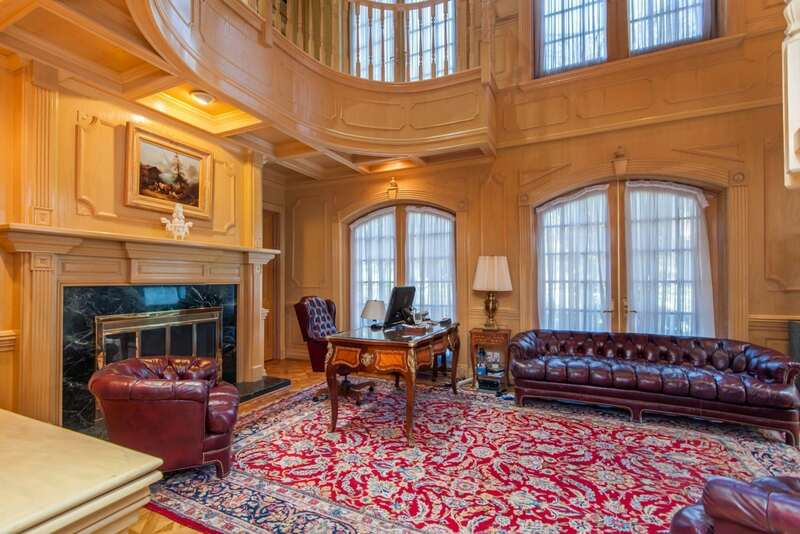 This home has been beautifully and meticulously maintained. 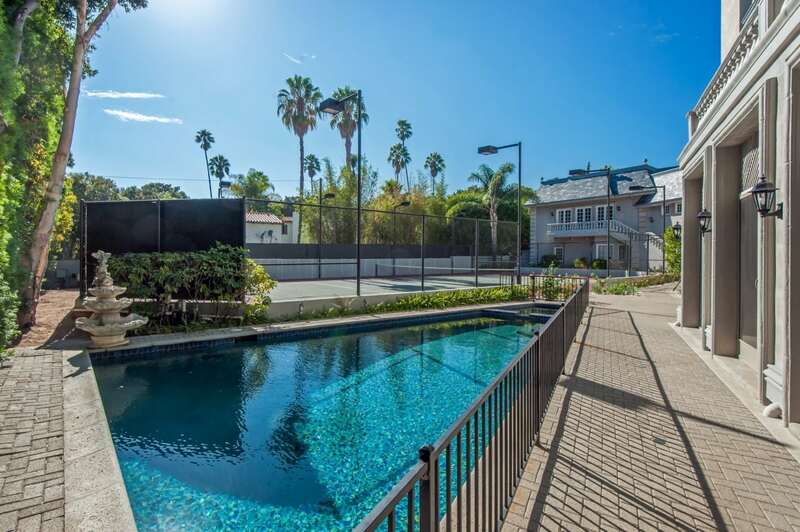 The gated property also features a circular drive and garage with direct access. 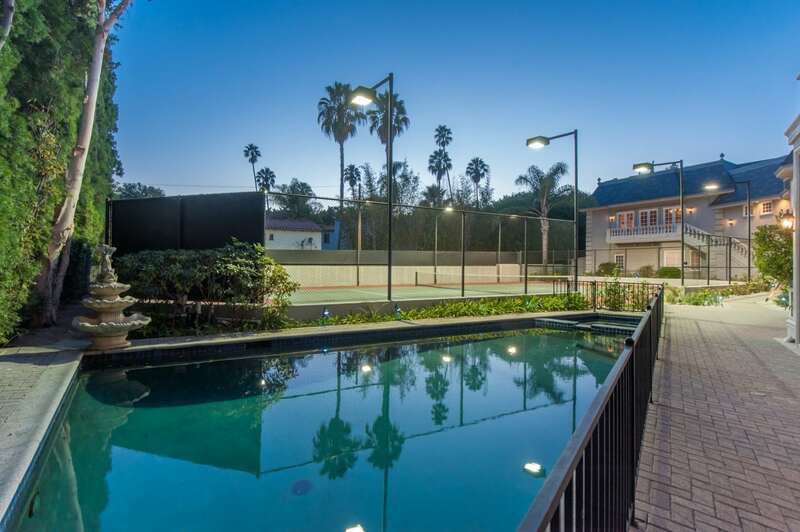 This sought after location puts you just minutes to the center of Beverly Hills, the Sunset Strip and the best of the Westside. 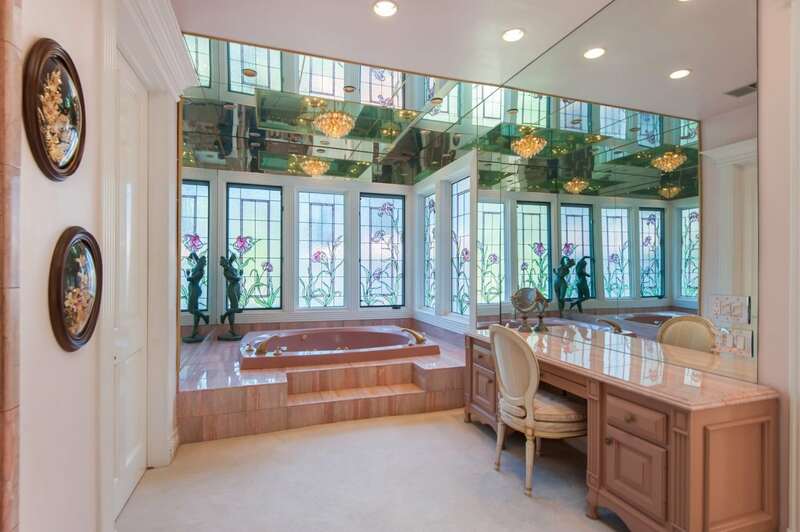 This house is not on the MLS. 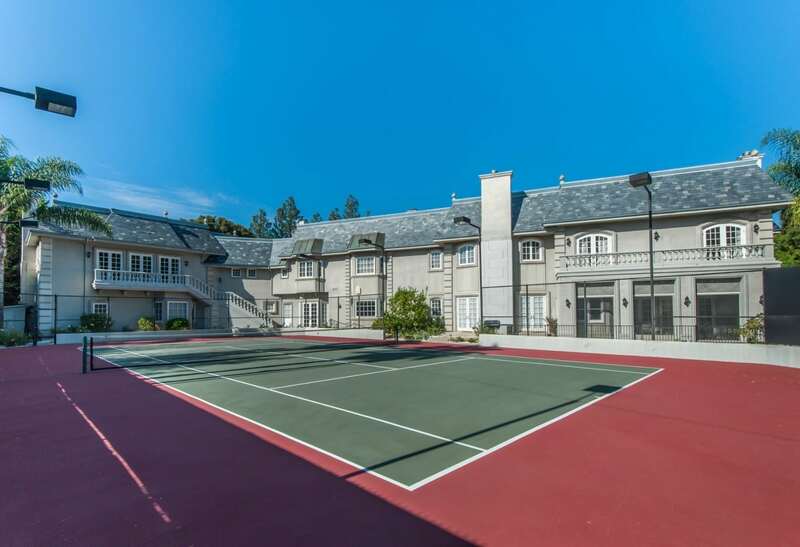 Interested in 1005 N. Rexford Drive?